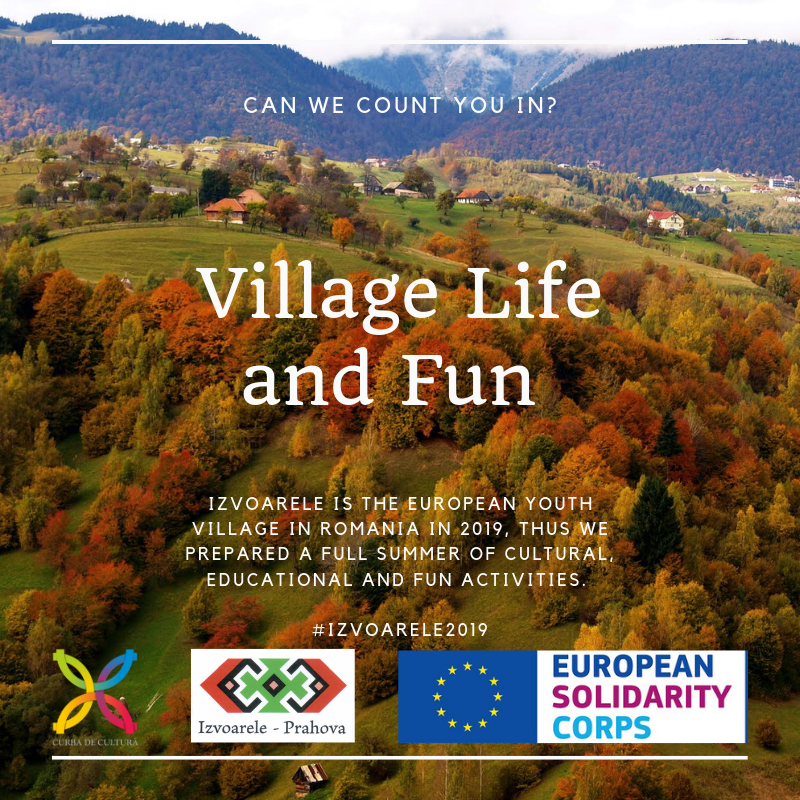 Izvoarele village holds the title of European Youth Village in 2019! What does this mean? That this summer Izvoarele (Romania) is the place to be and it is going to be the coolest summer ever. Why? Because Curba de Cultură prepared a series of cultural, educational, fun and youthful activities. Can we count you in to bring an international perspective to all these? We are looking for 20 volunteers from all over European Union to join the team for 7 weeks in July-August 2019!